Our goal in life is to live long, healthy lives. 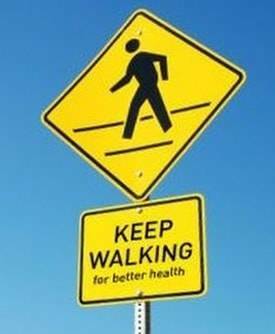 This is easier said than done, but don’t fear, one of the best ways to stay healthy is walking. Research shows that staying active for at least 30 minutes every day can bring you incredible health benefits. By participating in low level physical activity, you are staying healthy and adding more years to your life. How does walking benefit me? Benefits attained by walking can differ from person to person. Doctors recommend going for a daily stroll because it lowers your chances of high blood pressure, high cholesterol, diabetes, and arthritis. Walking has been proven to improve circulation and flexibility. Improved Circulation: physical activity wards off heart disease, brings up the heart rate, lowers blood pressure, and the risks of diabetes. Stronger Bones: reduces the speed at which your bones deteriorate and slows down the progression of diseases, such as osteoporosis. Stronger Muscles & Joints: tones your muscles, increases your range of motion, increases your flexibility, and provides joints with necessary nutrients. Research shows that the average adult should walk at least 150 minutes each week. That means walking 30 minutes, 5 days a week. Frequency: Try to go for a walk every day, walk at least three to five times per week. 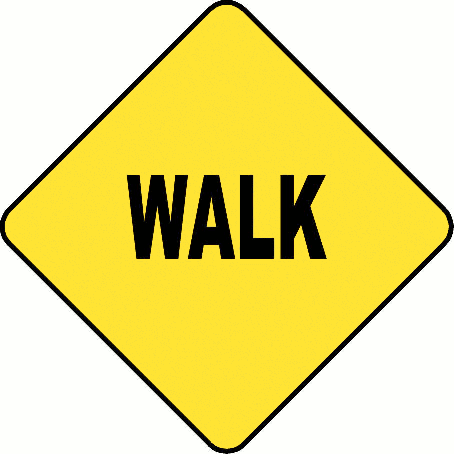 If you’re just starting out and cannot tolerate 30 minute walks, then begin with shorter walks. Start by walking between five to fifteen minutes a day, two or three days per week. Time: Aim for 30 minutes to 60 minutes a day as your ultimate goal. If you’re just starting out, even shorter walks will help you stay healthy. 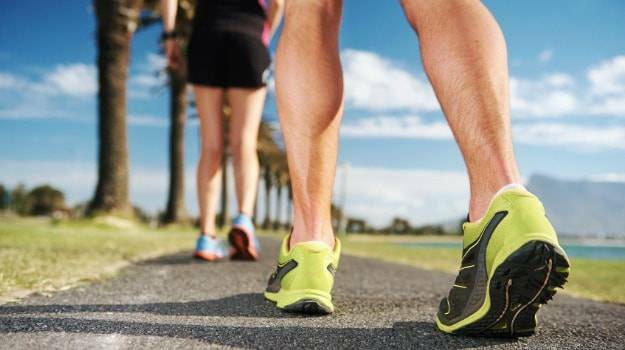 Even if you decide to start with shorter walks, you should gradually increase your time until you reach your goal. Remember to always consult your doctor before beginning any new exercise routine. Decide on the amount of time you want to walk per day, what route you want to take, and put it into action. If you don’t want to walk alone there are many different options. You can walk the dog, window shop at the mall, walk around the park with your children or grandchildren. Staying active does not need to be boring, either bring along a companion or walk to some motivational music. Come into any one of our stores, located in Anaheim Hills, Rancho Cucamonga, Riverside, San Dimas, Temecula and La Quinta! Visit us today and try on a pair of walking shoes! If you are looking for walking shoes in Anaheim, Anaheim Hills, Yorba Linda, Brea, Orange, Placentia, Fullerton, Irvine, Villa Park or Tustin; visit our store in Anaheim Hills. If you are looking for walking shoes in San Dimas, Glendora, Pomona, Covina, West Covina, La Verne, Azusa, Diamond Bar or Claremont; visit our store in San Dimas. If you are looking for walking shoes in Rancho Cucamonga, Ontario, Upland, Fontana, Rialto, Chino, Chino Hills, Mira Loma, Eastvale, Colton or San Bernardino; visit our store in Rancho Cucamonga. If you are looking for walking shoes in Riverside, Moreno Valley, Corona, Rubidoux, Loma Linda, Grand Terrace, Redlands or Norco; visit our store in Riverside. If you are looking for walking shoes in the Temecula Valley, Murrieta, Fallbrook, Lake Elsinore, Wildomar, Hemet, San Jacinto, Pala, Sun City, Menifee, Canyon Lake, Perris, Bonsall or Anza; visit our store in Temecula.